Individuals who participate in our programs are considered professional artists and have the opportunity to showcase and sell their work in galleries and in the local community. A staff of trained artists provide support in a variety of media including drawing, painting, fiber arts, sculpture, jewelry and animation as well as in dance and music. Many OTL works are included in private collections throughout New England and have won juried competitions. ​We collaborate with many local organizations and universities including Tufts, Lesley, BU, the Best Buddies Program, Medford Arts Council, The Dance Complex, Somerville Arts Council, Artbeat, Somerville Open Studios, and Walnut Street Center Art Program. Artists that attend the studio have the option to participate in a variety of activities including drawing, painting, jewelry-making, sewing, weaving, music, yoga, digital arts, video, animation, sculpture, gardening, dance, storytelling, physical exercise, cooking and volunteering. We provide various ways to explore the community through trips to local museums, parks, cafes, outdoor sculpture exhibits, multimedia installations, and farms. We also have a weekly radio show that is broadcast through WMFO on Fridays from 1-2pm. Our program began in 1995. 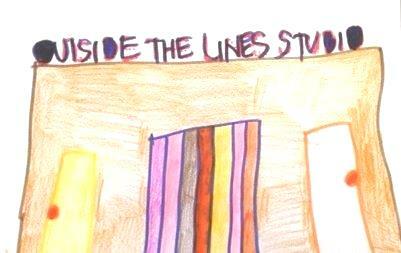 Outside the Lines is a program of Resources for Human Development, a multi-faceted social services with a mission to empower vulnerable and marginalized people and families as they build better lives for themselves. their families, and their communities. RHD operates more than 170 programs in 14 states, each managed locally according to the needs of the individual community.